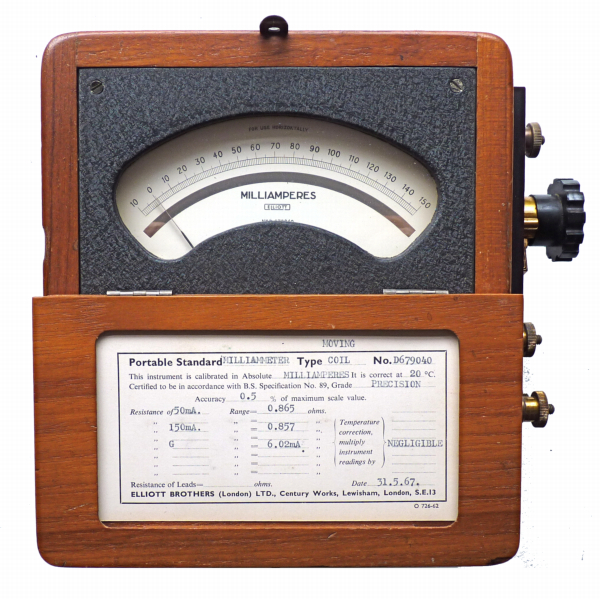 I have been collecting old radios, electrical and electronic test equipment over many years. 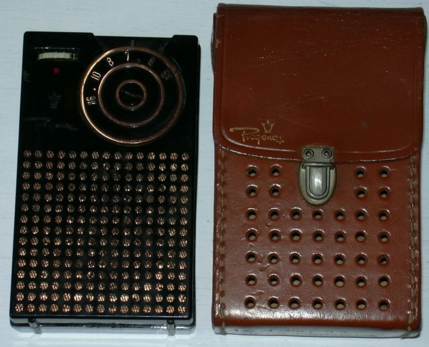 Three or four of the items shown and described on this site belonged to my father who was a Radio Ham, others have been given to me by family members some have been bought at junk shops but many have been given to me by owners who had no further use for them but would like them cared for and remembered rather than consigning them to a skip. 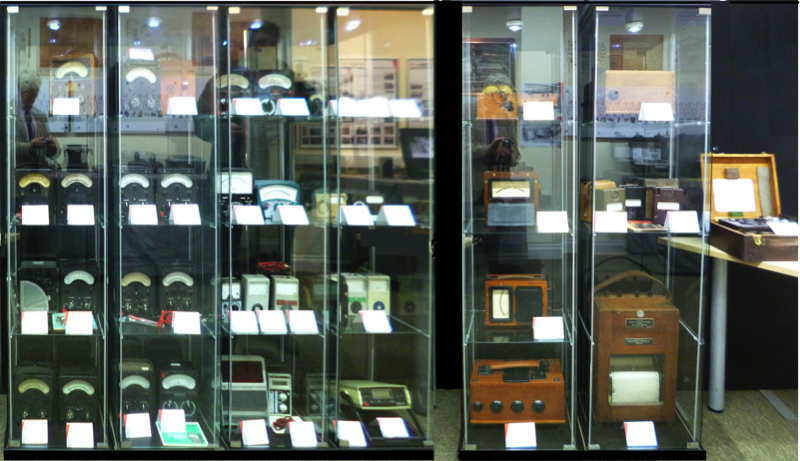 I now have a collection of over 180 radios and more than 180 pieces of test equipment, as well as miscellaneous items, telephones, calculators and barometers and thermometers. Many of the radios and pieces of test equipment are now working well but several are in need of attention. I have been able to locate schematic diagrams for many of them but for others I have had to resort to tracing out the circuits. Please have a look at the colour photos and descriptions, and help me with the identification or provide me with information about the radios and pieces of test equipment. As you will see several people have provided useful information concerning some of the items, if you have any suggestions or observations please let me know and I will update the pages appropriately. 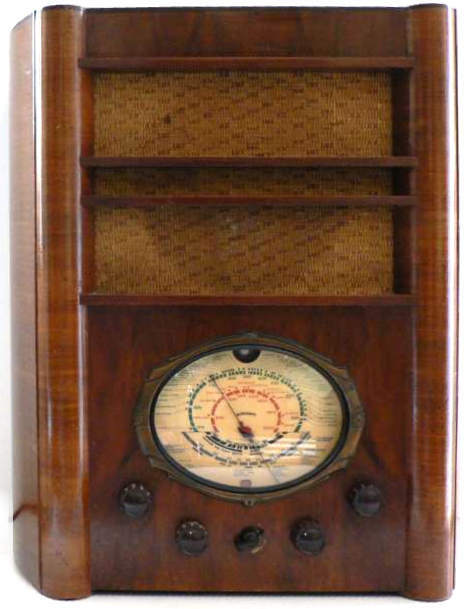 I am interested in getting things working and unlike the websites of some other collectors you will be able to see what is inside many of the vintage and antique radios and pieces of test equipment. The navigation system includes thumbnails which I hope are big enough to get a general impression of the various items in my collection. Please click on those that interest you for further information. 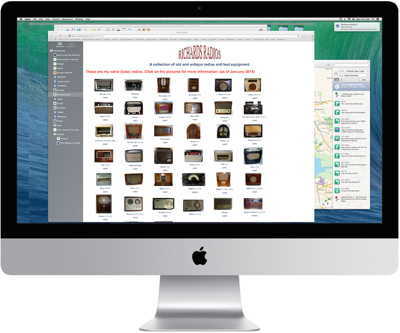 This will bring you to a page with a more detailed description and sometimes showing the interior, schematic diagram, a price guide, historical information and links to other websites. Use your Browser Back button to go back and click on another thumbnail. You could use the Google search box on this page to find all the references on my site for a particular item. (type "cossor" to see what happens. Some of my radios appeared in a BBC4 TV programme "Gagging for It: TV's Hunger for Radio" in 2007. You can also see some on one of the Guardian web pages. My Regency TR1G featured on a Channel 4 programme "Stephen Fry's 100 Greatest Gadgets" in August 2011. It exceeded my expectations and came in at number 12. The programme was shown again in April 2012. In September 2014 I was interviewed by Mike Hicks for a short piece which was broadcast on Mustard TV (a local TV station) and in June 2015 answered questions on Radio Norfolk. On 16th January this year I was interviewed again by Mike Hicks fo Radio Norfolk and this time some of my radios were heard "on air". I now have quite a collection of AVO and Evershed and Vignoles instruments and lent a number to MEGGER for a display during their Open Day to celebrate their 50th year in Dover in November 2016. The items described and illustrated on these pages are not for sale. This site was first created in February 2001 and was last updated on 17 March 2019. I am gradually adding new items and making minor changes. Please come back again.